Continuously refined over the past ten years, CyberBrowser is unlike any other secure browser because its features have been developed specifically for interactive, touch-screen kiosks. CyberBrowser is capable of displaying the same content as Microsoftâ€™s Internet Explorer; web pages, photos (.gif, .jpg, .png, and .bmp), videos, Flash and PDF files, etc. The advantage of our browser over Internet Explorer is that CyberBrowser gives you the power to dictate which features and web sites you allow your users to access. 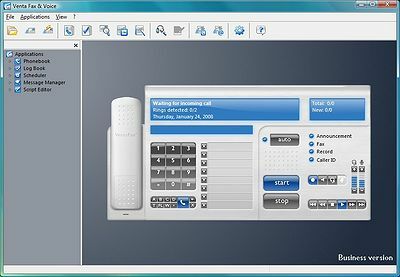 You can also choose the look and feel of the interface to fit with your own companyâ€™s identity. SimpleSurf - Simple Surf is the kiosk software solution for turning any pc into a secure internet browser. Simple Surf supports many peripherals including coin mechanisms, printers, note validators, barcode readers and magnetic card readers. MenuBox - Create AutoRun-enabled CDs/DVDs, design professional windows (sophisticated HTML or lightweight text menus) or open a document when your medium is inserted in the drive. With conditional logic for localization, viewer setup and failsafe fallback. SiteKiosk - SiteKiosk is the ideal software solution to securely present web-based content (HTML, Flash, videos, etc.) and applications on public access terminals. MountFocus Keyboard Designer - The most flexible and powerful virtual keyboard designer available. Excellent for touch-screen, Point Of Sale and similar applications. Limnor Codeless Programming System - It is a generic-purpose codeless programming system. it can be used for database applications, multimedia cdrom authoring, kiosk, business management applications, internet payphone kiosk. SurveyPro - SurveyPro4 is a comprehensive survey software suite. It includes polished questionnaire design, an integrated database, and a sophisticated reporting and analysis engine. All this, and it's easy to use.